MULTI-STATE Store Fixture LIQUIDATION: SCRANTON/WILKES-BARRE PA Area Sale Starts 4/18/14 and ATLANTA/MACON GA Area Sale STARTS SOON. Additional Upcoming Locations & Start Dates To Be Announced. AREA: SIX STATES (Georgia, Louisiana, New Hampshire, New Jersey, Pennsylvania, and Tennessee). SCRANTON / WILKES-BARRE PA Area Location STARTS APRIL 18TH. STATUS: Sale starts at NOON on FRIDAY 4/18/14. ADDRESS: 156 Amber Lane, WILKES-BARRE, PA 18702. On-site Sale Hours: 9AM-7PM Mon.-Sat., CLOSED EASTER SUNDAY, April 20th. 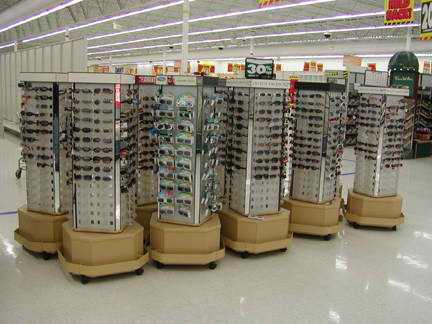 View Wilkes-Barre PA (Scranton Area) Store Fixture & Equipment PHOTO BROCHURE here. OPEN TO THE PUBLIC! Inventory to be announced, but includes gondola shelving, MASTER-BILT 2 or 3-door commercial refrigeration coolers & freezers, RX pharmacy shelving and fixtures, Rx pharmacy safe, HOBART Rx pharmacy file cabinets, cash safes, tobacco/cigarette merchandisers, and much more. Inventory and photo brochure will be posted when available. ATLANTA / MACON GA Area Location COMING SOON. STATUS: Tentative start date is early summer. ADDRESS: Location and city to be announced. On-site Sale Hours: 9AM-7PM Mon.-Sat., NOON-4PM Sunday. OPEN TO THE PUBLIC! Inventory to be announced, but should include gondola shelving, commercial refrigeration, RX pharmacy shelving and fixtures, safes, tobacco/cigarette merchandisers, and much more. Inventory and photo brochure will be posted when available. MULTI-STATE Store Fixture LIQUIDATION: SCRANTON/WILKES-BARRE PA Area and ATLANTA/MACON GA Area Location COMING SOON. Additional Upcoming Locations & Start Dates To Be Announced. SCRANTON / WILKES-BARRE PA Area Location STARTS SOON. STATUS: Tentative start date is mid-April. View Scranton Area Store Fixture & Equipment PHOTO BROCHURE here. MULTI-STATE Store Fixture LIQUIDATION: New Orleans LA Area & Morristown NJ Area Locations NOW IN PROGRESS. MULTI-STATE Store Fixture LIQUIDATION: New Orleans LA Area and Morristown NJ Area Locations NOW IN PROGRESS. Additional Upcoming Locations & Start Dates To Be Announced. MORRISTOWN NJ Area Location: NOW IN PROGRESS — HURRY IN. ADDRESS: 235 RIDGEDALE AVENUE, CEDAR KNOLLS NJ 07927. VISIT NOW — Open to the public! ON-SITE SALE HOURS: 9AM-7PM Mon.-Fri., NOON-4PM Sun. Call Fixture Sale Manager at (800) 676-7042 x135. Inventory includes LOZIER gondola shelving (GREY finish in 3FT wide sections), self-contained, stand-alone commercial refrigeration coolers and freezers, PTR 36″ cardboard baler, ONAN generator, cash safes, greeting card racks, LOZIER RX pharmacy shelving and fixtures, back room pallet rack, and much more. NEW ORLEANS LA Area Location: NOW IN PROGRESS — HURRY IN. ADDRESS: 3300 WILLIAMS BLVD, KENNER LA 70065. ON-SITE SALE HOURS: 10AM-7PM Mon.-Fri., NOON-4PM Sun. Call Fixture Sale Manager at (800) 676-7042 x120. 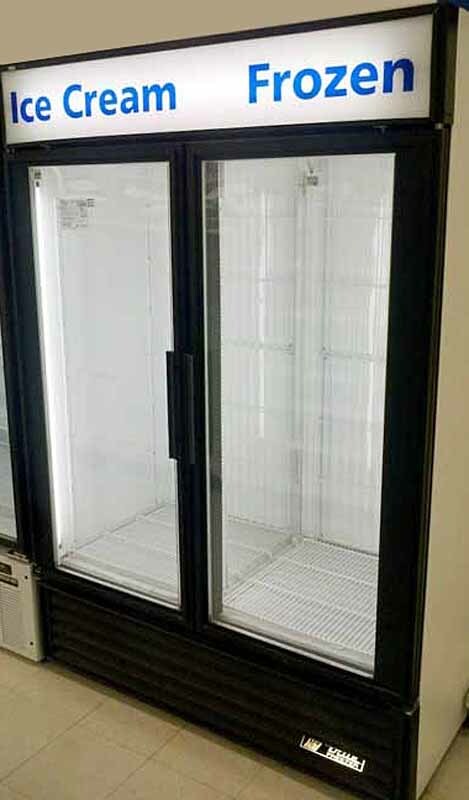 Inventory includes gondola store shelving, self-contained stand-alone 3-door MASTER-BILT commercial freezers, 10-door WALK-IN/REACH-IN commercial cooler/refrigerator, greeting card racks, RX pharmacy shelving and fixtures, and MORE. Store fixture and equipment inventory coming soon. Call SALES at (800) 676-7042 x110. MULTI-STATE Store Fixture LIQUIDATION: New Orleans LA Area & Morristown NJ Area Locations START SOON. MULTI-STATE Store Fixture LIQUIDATION: New Orleans LA Area and Morristown NJ Area Locations START SOON. Additional Upcoming Locations & Start Dates To Be Announced. NEW ORLEANS LA Area Location: SAT. 3/15/14 Tentative Start Date. Inventory includes LOZIER gondola store shelving, self-contained stand-alone 2 or 3-door commercial coolers and freezers, WALK-IN commercial back room storage freezer, greeting card racks, RX pharmacy shelving and fixtures, and MORE. Store fixture and equipment inventory and photo brochure coming soon. MORRISTOWN NJ Area Location: FRI. 3/14/14 Tentative Start Date. 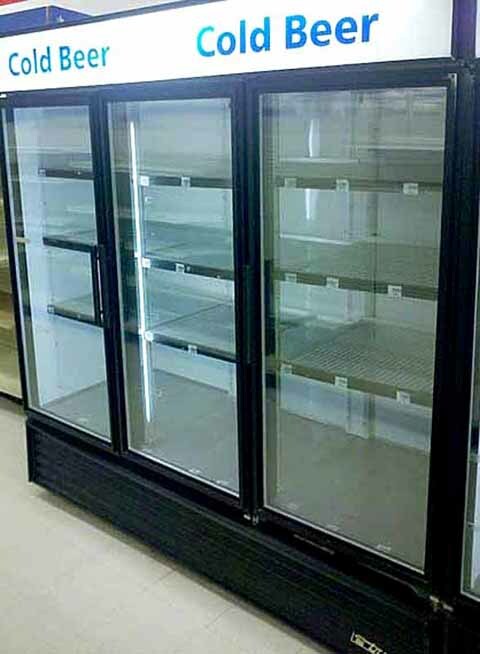 Inventory includes LOZIER gondola shelving, self-contained, stand-alone commercial refrigeration coolers and freezers, greeting card racks, RX pharmacy shelving and fixtures,and much more. Store fixture and equipment inventory and photo brochure coming soon. MULTI-STATE Store Fixture LIQUIDATION: TURNERSVILLE NJ (South Jersey/Philadelphia PA Area) & JACKSON NJ (Central Jersey/Jersey Shore Area) SALE Locations NOW IN PROGRESS. MULTI-STATE Store Fixture LIQUIDATION: JACKSON NJ (Central Jersey/Jersey Shore Area) and TURNERSVILLE NJ (South Jersey/Philadelphia PA Area) SALE Locations NOW IN PROGRESS. Additional Upcoming Locations & Start Dates To Be Announced. AREA: FIVE STATES (Georgia, New Hampshire, New Jersey, Pennsylvania, and Tennessee). On-site Sale NOW IN PROGRESS. CALL: Fixture Sale Manager (800) 676-7042 x130. ADDRESS: 245 Fries Mill Rd, TURNERSVILLE NJ 08012. 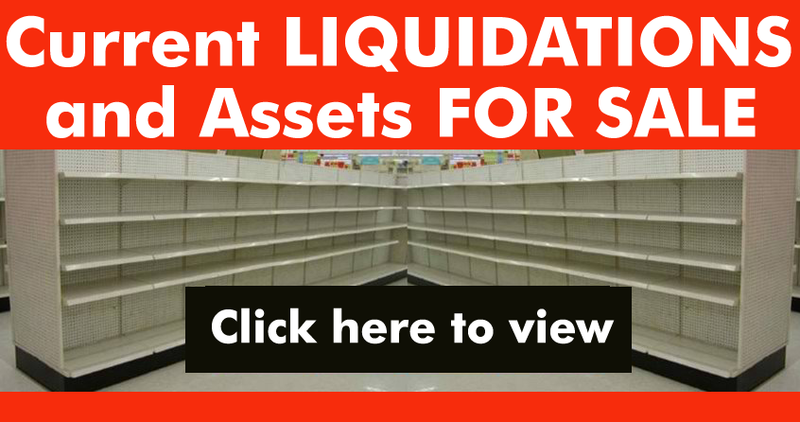 View TURNERSVILLE NJ Fixture & Equipment Liquidation INVENTORY here. View TURNERSVILLE NJ Fixture & Equipment PHOTO BROCHURE here. EVERYTHING GOES: Inventory includes LOZIER gondola shelving, 2-door MASTER-BILT or HUSSMANN stand-alone/self-contained commercial cooler refrigeration equipment, RX LOZIER pharmacy shelving, KIRBY LESTER pill counter, CSS digital biometric RX pharmacy prescription safe, QMI security shutters, RX pharmacy fixtures, PTR cardboard baler, and more. CALL: Fixture Sale Manager (800) 676-7042 x135. ADDRESS: 715 Bennetts Mills Rd., JACKSON NJ 08527. 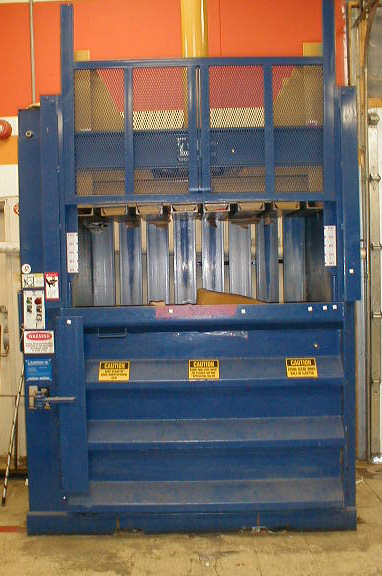 View JACKSON NJ Fixture & Equipment Liquidation INVENTORY here. View JACKSON NJ Fixture & Equipment PHOTO BROCHURE here. 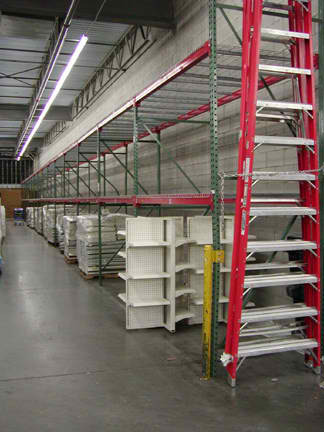 EVERYTHING GOES: Inventory includes LOZIER and UNIWEB gondola store shelving (island, wall, or end-cap styles), MASTER-BILT 2 or 3-door commercial self-contained/stand-alone refrigeration cooler equipment, UNIWEB RX pharmacy shelving & fixtures, QMI Security Shutters, CHECKPOINT QS2000 EAS Security Towers (with 1 Power Supply), Cash Wrap Check-out Counters, Employee Lockers, and more. MULTI-STATE Store Fixture LIQUIDATION: CENTRAL JERSEY/JERSEY SHORE NJ Area Sale Starts SAT., 2/15/14. One SOUTH JERSEY/PHILADELPHIA Area Location Starts TUES. 2/18/14 (Additional Upcoming Locations & Start Dates To Be Announced). On-site Sale Starts at NOON on SATURDAY 2/15/14. EVERYTHING GOES: Inventory includes gondola shelving, commercial self-contained/stand-alone commercial refrigeration equipment, RX pharmacy fixtures, and more. Fixture & equipment inventory & photo brochure will be available soon. SOUTH JERSEY/PHILADELPHIA PA Area Location: On-site Sale Tentatively Scheduled to Start at NOON on TUESDAY 2/18/14. EVERYTHING GOES: Inventory includes LOZIER gondola shelving, stand-alone/self-contained commercial refrigeration equipment, RX pharmacy fixtures, and more. Fixture & equipment inventory & photo brochure will be available soon. TAGS: Used/Pre-owned Gondola Store Shelving, Used Drug Store Fixtures and Equipment, Used Pharmacy Shelving & Counters, Used Commercial Refrigeration Equipment, Used Cash Safes, Used Check-out Counters, Used Back Room Wide Span Stock Room Storage Shelving, Used Employee Lockers and Break Room Equipment, Used Showcases, Store Fixtures and Equipment For Sale, Store Fixture Liquidation Sale Georgia New Jersey New Hampshire Pennsylvania Tennessee. 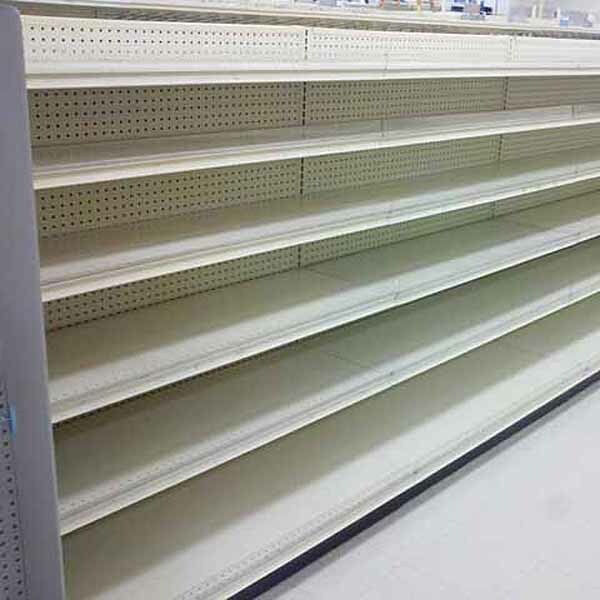 MULTI-STATE Store Fixture LIQUIDATION: MANCHESTER NH Area and CENTRAL JERSEY/JERSEY SHORE NJ Area Sales COMING SOON (Additional Upcoming Locations & Start Dates To Be Announced). (tentative start date is NOON on FRIDAY 2/7/14). 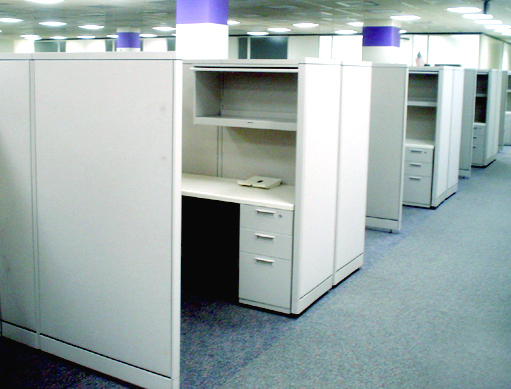 CALL: Fixture Liquidation Manager (800) 676-7042 x135. EVERYTHING GOES: Inventory includes gondola shelving, Rx pharmacy shelving, commercial refrigeration coolers, check-out counter/wrap stands, and more. Fixture & equipment inventory & photo brochure will be available soon. (tentative start date is NOON on FRIDAY 2/14/14 ). CALL: 180 Asset Group (800) 676-7042 x110. EVERYTHING GOES: Inventory includes gondola shelving, commercial self-contained/stand-alone commercial refrigeration equipment, RX pharmacy fixtures, and more. Fixture & equipment inventory & photo brochure will be available mid-month. MULTI-STATE Store Fixture LIQUIDATION: PHILADELPHIA PA Area Location Starts TUESDAY, 1/21/14. MEMPHIS TN Area Sale NOW IN PROGRESS (Additional Upcoming Locations & Start Dates To Be Announced). MEMPHIS TN Area Sale NOW IN PROGRESS. PHILADELPHIA PA Area Location Starts TUESDAY, 1/21/14 (Additional Upcoming Locations & Start Dates To Be Announced). MEMPHIS TN Area Location: On-site Sale NOW IN PROGRESS. CALL Fixture Sale Manager at (800) 676-7042 x130. VISIT NOW: 6860 Summer Ave., BARTLETT TN 38134. 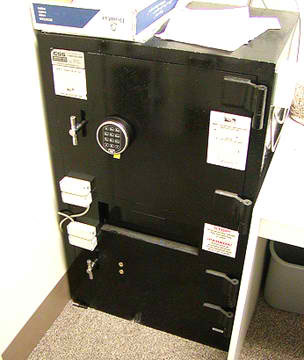 EVERYTHING GOES: Inventory includes LOZIER gondola shelving (wall-style sections), UNIWEB Rx pharmacy shelving, cardboard baler, MASTER-BILT 14-door WALK-IN cooler (with remote compressor), 4-door freezer (with remote compressor), QMI security shutter/gates, cash safes, U-boats, and more. View BARTLETT TN Fixture & Equipment INVENTORY here. View BARTLETT TN Fixture & Equipment PHOTO BROCHURE here. PHILADELPHIA PA Area Location: On-site Sale Starts at NOON on 1/21/14. VISIT starting at NOON on 1/21/14: 3568 West Chester Pike, NEWTOWN SQUARE PA 19073. View NEWTOWN SQUARE PA Fixture & Equipment PHOTO BROCHURE here. EVERYTHING GOES starting at NOON on Tuesday, 1/21/14: Fixture & equipment inventory will be available SOON. Inventory includes LOZIER gondola shelving (GREY finish), MASTER-BILT stand-alone/self-contained coolers & freezers, ONAN LP generator, PHILADELPHIA TRAMRAIL cardboard baler, cigarette/tobacco merchandisers, conference room table, cash safe, office furniture, RX pharmacy shelving and pharmacy safe, 5-step rolling ladder, employee lockers, conference table, office furniture/training room equipment, and MORE. 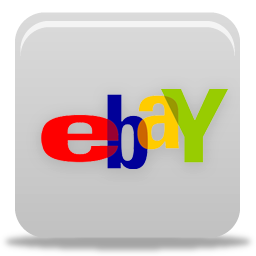 MULTI-STATE Store Fixture LIQUIDATION: MEMPHIS TN Area Location Starts Thursday 1/16/14. PHILADELPHIA PA Area Location STARTS SOON. MEMPHIS TN Area Location Starts Thursday 1/16/14. PHILADELPHIA PA Area Location STARTS SOON. SCRANTON PA AREA On-site Sale Now in FINAL DAYS. (Additional Upcoming Locations & Start Dates To Be Announced). MEMPHIS TN Area Location: Sale Starts THURSDAY 1/16/14. VISIT STARTING ON 1/16/14: 6860 Summer Ave., BARTLETT TN 38134. EVERYTHING GOES: Inventory and photo brochure will be available SOON. Inventory includes LOZIER gondola shelving (wall-style sections), UNIWEB Rx pharmacy shelving, cardboard baler, MASTER-BILT 14-door WALK-IN cooler (with remote compressor), 4-door freezer (with remote compressor), and more. PHILADELPHIA PA Area Location: STARTS SOON. CALL 180 Asset Group (800) 676-7042 x110 for details. EVERYTHING GOES: Inventory and photo brochure will be available SOON. Inventory includes LOZIER gondola shelving (GREY finish), MASTER-BILT stand-alone/self-contained coolers & freezers, ONAN LP generator, PHILADELPHIA TRAMRAIL cardboard baler, cigarette/tobacco merchandisers, conference room table, cash safe, office furniture, RX pharmacy shelving and pharmacy safe, 5-step rolling ladder, employee lockers, and MORE. SCRANTON PA Location: FINAL DAYS! CALL Fixture Consultant at (800) 676-7042 x135. VISIT NOW: 76 Viewmont Mall, SCRANTON PA 18508. On-site Sale Hours: 9:30AM-7PM Mon.-Sat., 9:30AM-4PM Sunday. EVERYTHING GOES: Inventory includes ONAN generator, and MORE. HURRY IN. ATLANTA GA and SCRANTON PA AREA On-site Sales Start FRIDAY 1/10/14 (Additional Upcoming Locations & Start Dates To Be Announced). ATLANTA GA Area Location: Sale Starts at 9AM on Friday, 1/10/14. CALL Fixture Consultant at (800) 676-7042 x130. VISIT starting at 9AM on 1/10/14: 4637 Hicks Rd., MABLETON GA 30126. EVERYTHING GOES: Inventory includes stand-alone self-contained commercial coolers & freezers, a complete pharmacy, gondola store shelving, and more. Fixture & equipment inventory and photo brochure will be posted SOON. SCRANTON PA Location: Sale Starts at NOON on Friday, 1/10/14. VISIT starting at NOON on 1/10/14: 76 Viewmont Mall, SCRANTON PA 18508. On-site Sale Hours: 9:30AM-7PM Mon.-Sat., NOON-4PM Sunday. EVERYTHING GOES: Inventory includes MASTER-BILT 2-door stand-alone self-contained commercial coolers & freezers, gondola store shelving, and more. Fixture & equipment inventory and photo brochure will be posted SOON. Call SALES at (800) 676-7042 x110 for details.